Woodhouse Eaves: LE12. Synergy Plumbing Services | Loughborough Plumbers. Synergy Plumbing Services. Synergy Plumbing Services are your local team for Plumbing and Home Improvements for residents and business owners in Woodhouse Eaves. Trying to find a plumber in Woodhouse Eaves can be made simpler by remembering that Synergy offer a wide range of services in the area. If you own a house or live in a rented property. You may find from time to time that you will face issues with leaking pipes or taps, or blocked drains and other problems. Our team of engineers are local and able to respond quickly to enquiries. We also turn up at the time arranged, and we have many loyal customers based on our reliability. If you are living in a rented property in Woodhouse Eaves, we can provide a fully detailed quote for your Landlord. 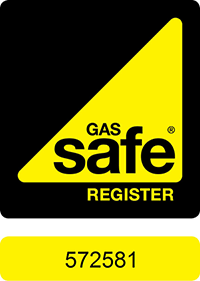 We are Gas Safe registered and can help with the installation of appliances. We can install, repair, and service Boilers, and we can run health checks on your property. We are also known for our ability to carry out home improvements such as disabled access bathrooms and wet rooms. To discuss your individual requirements, let’s talk. We know that managing properties is a difficult and time-consuming process, so we act of behalf Landlords to inspect properties and carry out fixes in the most efficient and cost-effective way. We can take the hassle away by providing fixed quotes where possible, and our friendly engineers will make a great professional impression on your tenants. If you have issues with any of your properties please get in touch as we can advise you. Additionally, we can provide regular maintenance, plumbing health checks, and regular scheduled Boiler Servicing. Another thing less for you to worry about. Business owners in Woodhouse Eaves have more to think about than leaking pipes, but if something goes wrong, it can bring your whole operation to a stand-still. Trust Synergy Plumbing Services to keep your business running smoothly with quick and reliable responses. We are Gas Safe Registered. In addition to the usual local plumbing services, we can also provide property improvements such as staff toilets and in offices. We can help with the installation of industrial kitchen appliances, or make sure your business is winter-ready. Whatever you need, we’ve got you covered.